A few weeks ago I posted a photo of clover on my Facebook page. It was a popular picture, bringing lots of comments about playing in clover patches and making clover bracelets and necklaces. But I was surprised to learn there were people who had never heard of this childhood ritual. Last week at the Hemingway-Pfeiffer writer retreat, our conversation turned to the importance of telling our stories. Stories that will soon be lost if left untold. Things that today’s kids may not know. Like making homemade ice cream. Pouring ice and salt around the canister. Turning the crank until it wouldn’t churn. Covering the freezer with a thick towel. Waiting and waiting for fresh peach ice cream. The process was one of the best parts of summer. 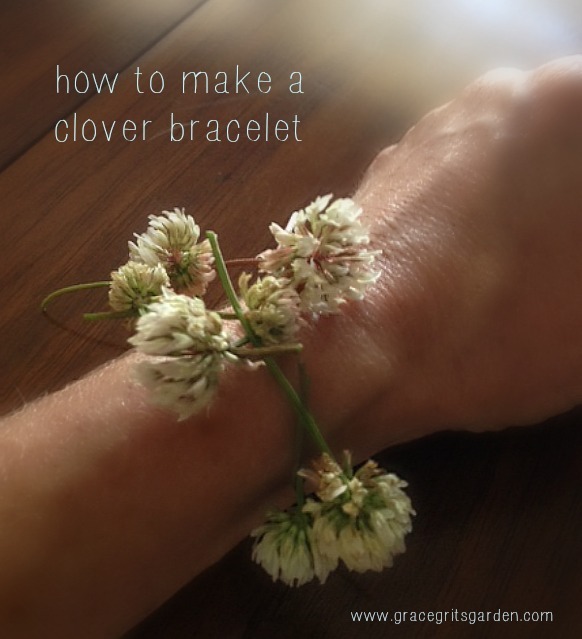 And making clover necklaces and bracelets? I decided I’d better write about it. It’s worth remembering. Step One. On a sunny spring day, gather clover. Step Three. 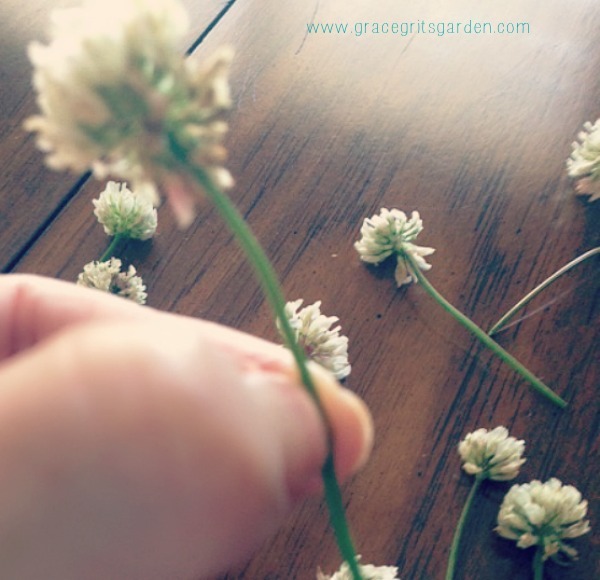 Thread the stem of a second clover through the slit of the first stem. Repeat this process, making your next slit on the second clover. Weave the third clover through the slit on the second clover. Don’t overthink. Remember, this is a fun, easy, imperfect activity. Step Five. Connect the last clover to the first stem the same way, with a small slit. Now your clover ring is connected. Snip the long pieces of stem if you prefer. I doubled my clover chain bracelet and proudly wore it to lunch. Loved this. I started to school in Keiser in the 4th grade. This blog really brings back a lot of good memories. I meet my good, forever friend, Lou Shoemaker Perry, that year. Years later, she was your librarian in high school. 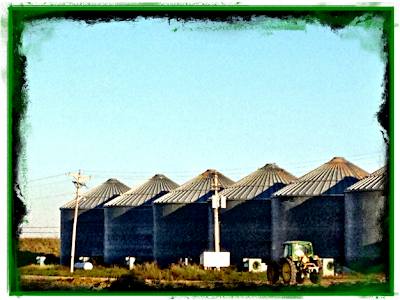 Love small towns. Keep those wonderful memories and traditions coming! You do it so well! I remember girls on the playground making this clover jewelry. This led me to the memory of girls sitting face to face on the ground and doing some clapping ritual while reciting a limerick of sorts??? Do you know to what I am referring? You could do the clapping to most any rhyme. “Pease Porridge Hot” comes to mind. Thanks for this good memory, Talya. 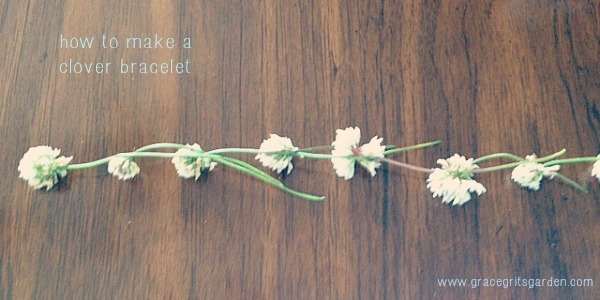 I remember making these necklaces, but we would tie one clover stem with the stem of the next one. Thanks for the memories. I bet there are lots of different ways! We tied ours, but your way is prettier. Made many a necklace and crown! And looked for those four-leaf clovers. I so loved doing this as a child. Actually, I rather like doing it as an adult. My7 yr old granddaughter is already an ace at necklaces and bracelets. Such sweet memories.